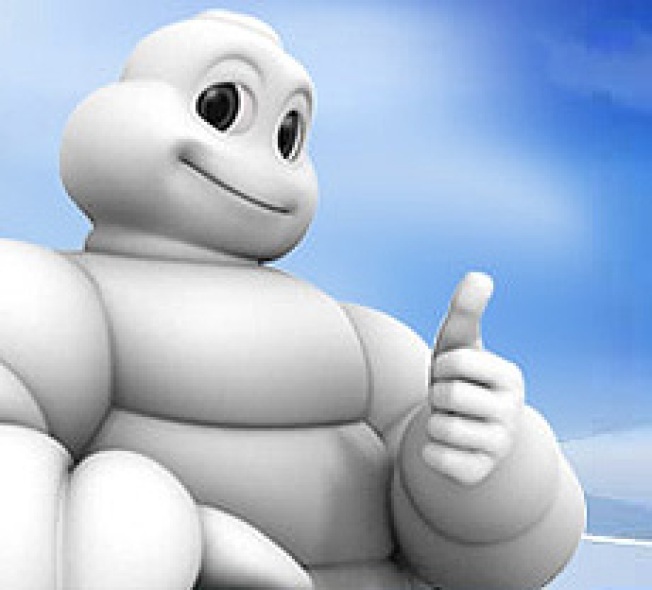 The 2009 edition of the San Francisco Michelin guide will be officially released on Monday morning. New to the guide this year is an effort to make the guide more consumer-oriented and more friendly to locals (read: sell more copies to locals), so Michelin is getting into the user-review game in contest form. They've launched a new Discovery campaign that sees diners submit a "150-word description of the discoveries they've made" using the Michelin guide. Among other things, what differentiates these reviews from say, Yelp, is the incentive. Starting next week and running until the end of the year, Michelin will select one winner each week and award the reviewer a $150 gift certificate to try a new restaurant. At the end of the year, a grand prize winner will be chosen from the weekly winners to create a (fully-comped) “Design Your Own Michelin Discovery Weekend in New York City.” Kinda trumps Yelp Elite status, no? SAN FRANCISCO – To coincide with the launch of the MICHELIN guide San Francisco Bay Area & Wine Country 2009, creators of the famed restaurant and hotel guide have developed a new, interactive way for San Francisco locals to participate in the city’s restaurant scene. Starting Mon., Oct.6, www.michelinguide.com will feature the 12-week “Discovery” contest, in which consumers can win prizes for posting their dining experiences around the city using the guide. Consumers can enter the “Discovery” contest starting October 6 by submitting a 150-word description of the discoveries they’ve made using the MICHELIN guide on www.michelinguide.com. One new winner will be selected each week through December 31, 2008, to win a $150 gift certificate to try a new restaurant as well as have his or her discovery featured on www.michelinguide.com. One grand prize winner will be selected from all of the weekly winners to create a “Design Your Own Michelin Discovery Weekend in New York City,” including all meals and accommodations. * Anna Bilstrom, CRM consultant & Blogger for Banane.com, SF MetBlogs: Anna is an avid writer who pens an online murder mystery series for Banane.com/Homicide. She resides in North Beach, and when not logging online be found swimming in Aquatic Park, sipping cortados at Caffe Sapore, or shopping with her sisters on Grant Street. * Kelly Wanser, Chairman and CEO of eCert Inc.: A leader in the Silicon Valley tech industry, Kelly works to protect financial and government email from fraud, serves on the Board of ColdSpark, an email software company she founded in 1991, and is the author of several patents in electronic messaging. An ardent traveler, writer and advocate for research on climate management, Kelly has lived in London, Belize City, Rio de Janeiro, Boston, Dallas and Boulder, before settling in San Francisco.